Profiting from the riches that asteroids, stars and even planets have to offer seems to be closer than ever, with two companies launching missions within three years. But experts say before going for the gold, platinum and diamonds that may be up there, they need to find the most precious of all: fuel. Investors eager to get the new industry off the ground know this. That is why new ventures that have backing from some loaded business figures, and even the NASA, have decided to focus on building interplanetary "gas stations." “Have you ever wondered why the space economy hasn’t seen exponential growth with Moore’s Law like we have witnessed with high-tech industries here on Earth?” asks Planetary Resources President and Chief Engineer, Chris Lewicki. EOS Mars Program NeoMiner – Robotic Asteroid Mining Equipment. Image by Jan Kaliciak. “The catalyst for rapid expansion into every frontier in history has been access to cheap, local resources. And in space, access to rocket fuel is currently neither cheap, nor local,” he notes in a video (watch it below) about the market for fuel in space. 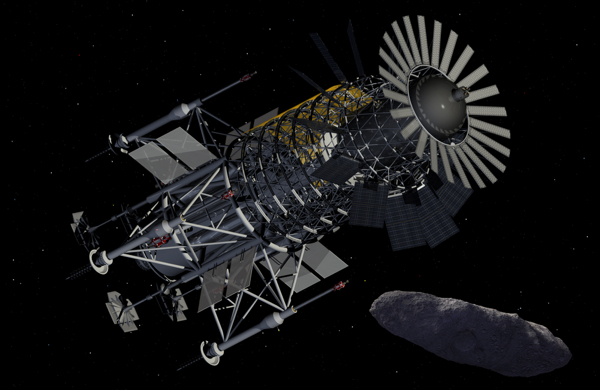 According to Lewicki, the business of mining asteroids for fuels could generate trillion-dollar market. 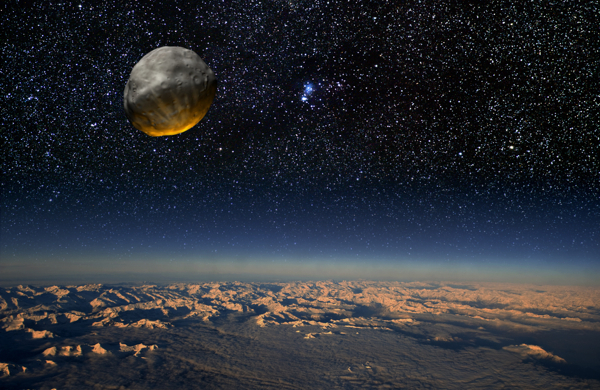 In addition to platinum, the main asteroids in space mining companies target list are abundant in hydrogen and oxygen, which can be turned into propellants and sold to fill up the tanks of everything, from commercial satellites to NASA deep-space vehicles. “This will literally and figuratively fuel expansion of the space economy by providing a locally sourced fuel resource that will change how industry operates in space,” says Lewicki. Besides, says Lewicki, water harvested from asteroids can also be used as a radiation shield for humans during deep space expeditions to Mars, consumption and even aid in several processes tied to mining metals off asteroids. NASA studies have previously found that fuel depots could reduce the price tag of deep-space exploration because spacecraft could take off from Earth with less fuel than they do today, which would allow the use of smaller, cheaper rockets. Filling an orbiting depot with propellants from asteroids could be far less expensive in the long run than supplying them from Earth, according to Planetary Resources cofounder Eric Anderson. 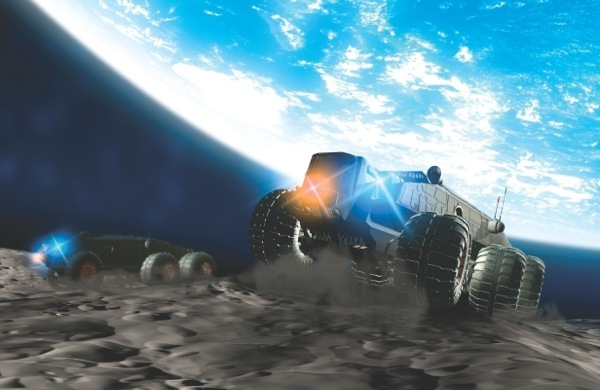 Rovers like these could be a reality in future space exploration missions to asteroids. Image courtesy of NASA. But the plan has its share of sceptics. “Technically, could they do it? I have no doubt,” says Henry Hertzfeld, a professor at George Washington University who studies space policy and economics. But he is not sure who the customers would be or what they would be willing to pay, and he says that the idea of mining on asteroids raises unresolved legal issues. Ownership of space resources, he says, is a grey area in space law, with no clear allowance for private property rights on asteroids and other celestial bodies. “You can easily build a contrasting case where it makes no sense at all,” Hertzfeld says.